This product description is for 1 Private Tutoring session. 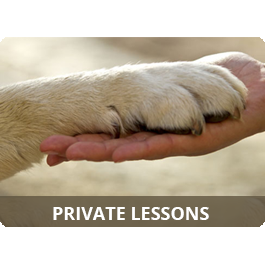 Private tutoring sessions can be used for anything from fine tuning basic obedience skills to behavioral modification issues. This is a one-on-one class so you can decide what you need to work on with your trainer. Once we have received your payment, the trainer (Kim Mayes), will contact you to schedule your appointment or you can contact us ahead of time to do so by emailing TrickDogTrainer@gmail.com or by phone at (321) 338-7722. A typical session lasts 45 minutes – 1 hour, however, keep in mind depending on the issue you are working on some sessions could run longer. You must provide proof that your dog is completely current on vaccinations prior to your 1st tutoring session.